Vectorization is the process of taking a raster-based file and converting it to a vector CAD file for editing in any AutoDesk product. It’s a service we’ve been providing for 15 years, though the process has evolved over the years. 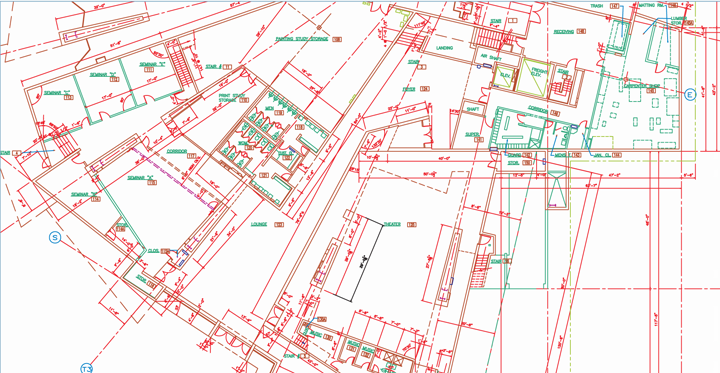 As part of the process, we save the file to any version of AutoCAD you prefer. In this service, we can take your hardcopy plan or .pdf file, and have it go through the process of a complete vector conversion. The end result is a fully functional AutoCAD .dwg file that includes layers, proper scale, text, linework, hatching and solid fills. Once converted, these vector files can be brought up into the version of AutoCAD you’re currently using, ready for you to customize with your title block. You’ll find that you have to do very little with these files, once completed. In today’s economy, one thing is for sure…every office staff is smaller and the challenge is greater than ever to maximize ever hour efficiently. When talking about the topic of vector conversion, only one question needs to be asked. “What is your time worth to you?” Most people arrive to the conclusion that their time is better spent growing the business, as opposed to sitting in front of a computer redrawing CAD files. An average 5-page conversion project takes about two days. What could you accomplish in two days?